1991 Rave at The Trades returns for another night of old school bangers! 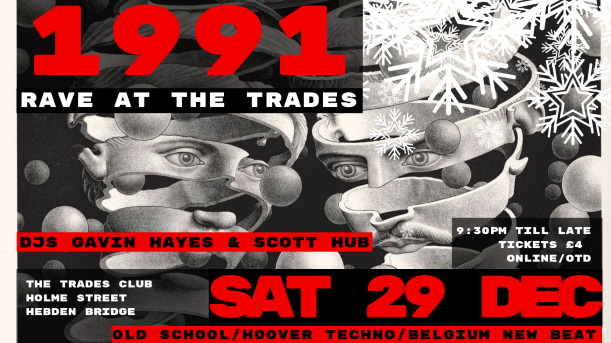 This time local DJ legend Scott Hub will be joining Gavin Hayes behind the decks to turn back the clock to 1991. The last event was an absolute blinder, so be prepared for another night of old school techno, loads of classics and some serious underground tunes from back in the day. Let’s party like it’s 1991!